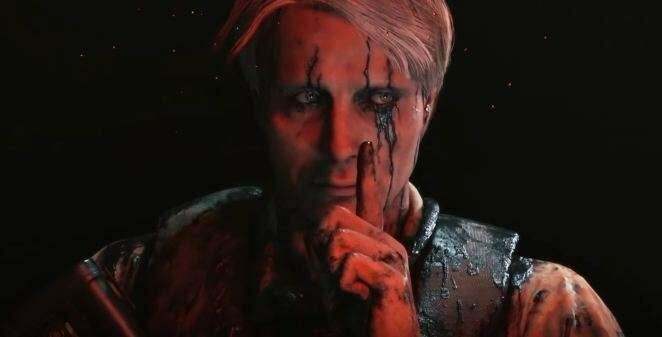 According to Aki Saito, the head of marketing and communications at Kojima Productions, the information drought on PlayStation 4 exclusive Death Stranding, may finally be coming to an end. Saito recently popped up on Twitter to extend his gratitude to fans for their support as the marketing head amasses followers. But to really thank fans, Saito is planning on sharing "special info" soon about apparently something that surprised him during development, and that fans will appreciate. But of course, the teases will require more followers -- 20K, 30K, etc. In other words, once these milestones are hit, Saito, who currently has 17K followers, will share more. Of course, if you're expecting a release date announcement, a new trailer, or anything meaty, well, that's not what you're going to get from this. However, given how little we know about Death Stranding -- which is Hideo Kojima's M.O. -- we'll take anything we can get, even if that means we have to pump up Saito's followers in the process. Now, if you're interested in more consequential information -- like an aforementioned release date announcement -- well, who knows when you'll get anything. Kojima did recently tease that perhaps the game will release this year, or that at the very least some salient information will arrive this year. However, if you know Kojima, you'll know never to hang onto vague teases from him too much. That said, Norman Reedus, the talent behind the game's protagonist, did also recently let slip that he thinks the game will release in "early 2019." So maybe there's something to Kojima's latest cryptic tease. At the end of the day, who knows. We still don't even know too much about the game itself. But I suspect that will be the case even come launch day. Again, this is all mostly classic pre-release Kojima. Death Stranding is in development for PS4, exclusively. Fingers crossed we will see it this year. For more coverage and news on the game, click here.